Believe it or not, James Bond is turning 60. But no matter how old he is, James (no matter who’s playing him) will always be the kind of man that men envy and women desire. 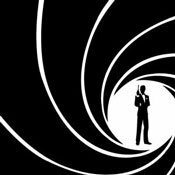 Through 45 books and 23 films, James Bond has been a suave symbol of style, charm, and the masculine ideal. Almost as famous as the phrase, “Bond, James Bond,” is his signature beverage of choice: Vodka martini, straight up with a twist. Shaken, not stirred. It’s become so iconic that a musician decided to really drive the point home by playing the James Bond theme on martini glasses and a shaker. (He had to add a few other types of glasses to round out the notes, but he made the point well.) Click here to watch. This signature drink is literally and legally part of the character’s trademark. When Heineken tried to shake (pun intended) the martini from its monumental pedestal with an advertising deal for the movie Skyfall, fans cried foul and were ready to unleash Blofeld and the forces of SPECTRE to defeat them. 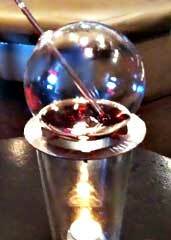 Restauranteur Julie Palmer has created an alcoholic “drink experience” called the Vaportini. The Vaportini is a device that evaporates liquor into a gaseous collection of flavors and smells using a heat-safe glass globe and a candle. One inhales the “drink” through a glass straw once the heat mixes with the alcohol. Palmer came up with the idea for the Vaportini when she experienced vodka poured over the coals of a Finnish sauna. 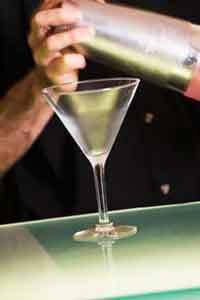 Like the Vaportini, corporate and LLC liability protection can dissipate without you realizing it. The initial intake of creating your business entity can be quite intoxicating, novel and fun. But if you don’t maintain and attend to it, your protection could vanish like vaporized alcohol through an unattended glass straw. When you create your corporation or LLC, it’s an experience like no other. It can be an almost intoxicating thrill to finally have a tangible version of your dream of owning your own business. Setting up your corporation or LLC involves more than filing a form with the Secretary of State and paying your filing fee. Because your corporation/LLC is a separate “person” in the law, you should take additional steps to maximize your legal protection. If you don’t already have it, download my Free Start Up Business Checklist to ensure you’ve taken those additional steps. What you may not realize is that your liability protection dissipates if you don’t MAINTAIN your entity AFTER initial set up. For instance, one way to maintain your liability protection is to avoid commingling your company and personal assets. 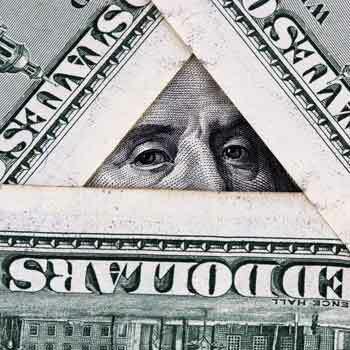 Remember you should have set up your corporation/LLC with a separate bank account and separate EIN. Commingling is the act of mixing the funds belonging to one party with those of another party, especially when one party has responsibility to keep the funds separate for the other party. 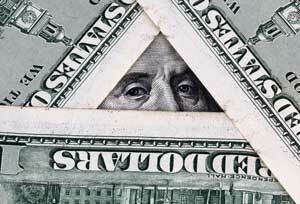 Basically, it means you should keep your business and personal funds separately. An example of commingling: if you have to pay your home utility water bill, you don’t use a company check to pay for it. The proper way to handle it is to use your company check to pay yourself and then you as an individual pay for the water bill out of your personal funds. Commingling is a big no-no, because it results in a loss of identity of the funds/ownership of the property. When business funds get mixed up in your personal funds, you may become subject to personal liability, which is probably one of the reasons you created your corporation or LLC in the first place! This is known as “alter ego” “sham corporation” “shell company” or “piercing the corporate veil” (yes, it applies to LLCs too).